Give your carpet freedom from the dirt and stain by hiring carpet cleaning services from Back 2 New Cleaning. We are the best service provider of cleaning services at the lower prices. 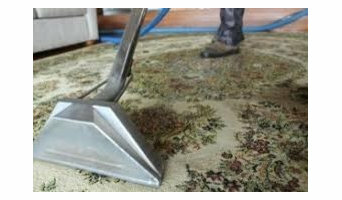 We are giving our carpet cleaning service in Wollongong from 15 years and have a high customer base. 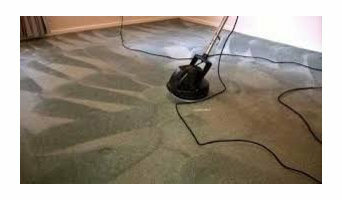 It is the result of our trained and hard laboured work spirit that we have impressed most of our customer in services like Carpet Stain Removal, Carpet mould removal and other services. Our services will clean all types of dirt and stains from the carpet. So, you can rely on us and book for our carpet cleaning services. We are open 24*7 hours and ready to receive booking always. You can get free quotes about our services at <a rel="nofollow" target="_blank" href="https://www.back2newcleaning.com.au/get-free-quotes">https://www.back2newcleaning.com.au/get-free-quotes</a> We will be sending our team which give the best and effective results. Refresh the look of old carpets at your house, commercial building or any workplace by hiring the Professional Carpet Cleaners from the leading company of carpet cleaning in Wollongong called Sams Cleaning Sydney. Get same day and emergency services from our experienced and qualified cleaners. Our service list has Carpet Dry Cleaning, Carpet Steam Cleaning, Carpet Stain Removal as well as many others. Our services come in most affordable ranges so that we can cover all customer with our services. We are open 24*7 hours and you can book for services anytime. You can contact us online at <a rel="nofollow" target="_blank" href="http://samscleaningsydney.com.au/contact-us/">http://samscleaningsydney.com.au/contact-us/</a>. We love to serve our customer in the best possible way. Fresh Cleaning Services offer the best services for carpet cleaning Wollongong at the most affordable prices. Whether the carpet is highly filthy or it is just the spot treatment that's required, our carpet stain removal services do the trick. 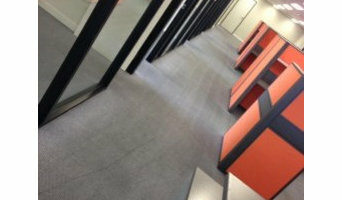 We also offer same day commercial Carpet Cleaning Services at affordable prices. If you have pets in the home, and looking for the pet hair removal services, then again, Fresh Cleaning Services is your true destination. Call our customer care team today or contact us online at <a rel="nofollow" target="_blank" href="http://freshcleaningservices.com.au/get-free-quotes">http://freshcleaningservices.com.au/get-free-quotes</a>. 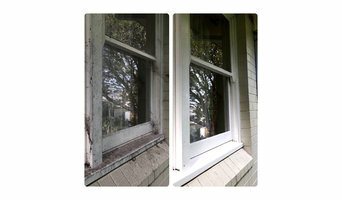 Window Cleaning - Why White-Knight Cleaning Services? White Knight - Get The Ultimate Window Cleaning Services! At White Knight we are proud to be known as ‘Your Local Friendly Window Cleaners’ Professionals you know and trust. We Service Cronulla, Woolooware, Yowie Bay, Burraneer Bay, Caringbah and the Sutherland and St George areas. We provide our clients with the best, friendliest, professional and always 'on time' Window Cleaning service possible! We pride ourselves on both our reputation as the Best Window Cleaners in Cronulla and Sutherland Shire. We service the smallest single bedroom apartments up to the largest waterfront homes on multiple levels. So whatever your homes type is, White Knight will clean your Windows to a Sparkling, 100% Satisfaction Guaranteed finish! For a Free quote call Steve on 0433460072. CALL NOW! Our specialized “Australian Bright Services” are here to offer you the modern maid service in the 21st century. The latest tools, advanced techniques, special cleaners, fast online booking and organic cleaning make it highly demanding all across Australia. Commercial cleaning! Residential cleaning! Professional washing, scrubbing, moping, vacuuming, wiping and rinsing! All dust, dirt or debris removed. Creating germ free-environment! Powerful sanitizing solutions and unique detergents! All Sweeper provides the most modern, reliable road sweeping and scrubbing service business in Sydney. We have the equipment and the highly trained, competent operators to do your job. Our expert team of waste removalists can efficiently and expediently take care of your domestic, industrial or construction rubbish. Servicing all of Sydney suburbs and keeping your surroundings clean has earned us a reputation of one of the best rubbish removal companies in the area. We understand how important it is to keep our planet clean, which is why we made recycling one of our primary concerns. Our experienced staff will give its best to provide you with the needed service. Elleisha’s Property Services is an independently owned and locally operated business, which has been operating within the Wollongong, Illawarra region for over 18 years. Elleishas is registered as a trusted house cleaning provider under the NDIS, offering a personalised approach. We pride ourselves on being different from other cleaning services with over 200 cleans every day we conduct regular onsite quality control checks. We specialise in the full range of domestic and commercial cleaning services and offer a very high standard of service and quality work. Being one of the most dynamic cleaning companies around, we have been providing an extensive range of house and commercial cleaning services in Wollongong to our clients. With over 10 years of experience in this industry, we have always been driven to provide our clients with a reliable, punctual and honest service along with maintaining the highest possible standards of cleanliness. Our Objectives We are dedicated to growing meaningful and honest business relationship with our clients along with meeting and exceeding their cleaning service expectations. 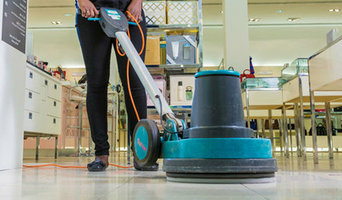 Some of the services which we provide are:- • Office and retail cleaning: Be it carpets, window coverings, floors, lamps, fixtures, bins, decor, printers, runners or computer screens, we clean it all. • Residential cleaning: Want a squeaky clean house? Our residential cleaning services are just what you need. • Carpet cleaning: If you want your carpets to look brand new all year, our carpet cleaning services in Wollongong is just what you need. • Warehouse and Industrial Cleaning: Needless to say, heavy industrial cleaning isn’t a cakewalk but we have the necessary expertise to do the job in the best possible manner. • End of lease cleaning: If you are vacating a house and want your bond money back, our end of lease cleaning services will come in hand. Professional Organiser and Home Management Services. Time Management. Cleaning Services. End of Lease Cleaning, Pre-Sale Clean, Detailed Cleaning Top Quality Cleaning and sanitising, Relocation Services, wardrobe Organiding, Pantry Organising, Home Organising.End of Lease Cleanjng. Chem-Dry is the only carpet and upholstery business that provides a hot carbonated extraction cleaning service. Combined with our Chem-Dry patented solutions, we provide a superior and deeper clean than our competitors. We back our work with our satisfaction guarantee. KNJ Chem-Dry is a local and family-owned business that's always striving to achieve great customer service and fantastic results for our customers. If you’re undergoing a home demolition, construction or renovation, you’ll likely need a skip bin or the help of a waste management professional to remove any heavy or hazardous materials. Rubbish removalists, residential cleaners and housekeeping professionals in Wollongong, New South Wales will also be able to help make cleaning up and moving into your new home a far easier job. Residential cleaners in Wollongong, New South Wales can provide routine cleaning, deep cleaning and end of lease cleaning. A routine service typically includes general tidying up, wiping down surfaces, dusting, sweeping, mopping, vacuuming, window cleaning and toilet cleaning. Microwave and oven cleaning, laundry and the cleaning of outdoor areas are usually additional extras. You may not have the time in between packing up and moving house, but a housekeeping professional can also provide end of lease cleaning, which typically includes everything from carpet cleaning to oven cleaning. Find companies in Wollongong, New South Wales that provide skip bin hire, cleaning or rubbish removal services on Houzz. Scroll through this page to find a domestic cleaner, rubbish removalist or furniture removalist in your area. Just enter your suburb at the top of this page to narrow your search. Get contact information or message professionals directly so you can ask about rates, and read customer reviews.